Have you ever sampled a jam where the fruit tasted as fresh and bright as the day it was picked? Have you ever contemplated the complex flavours sparking your taste buds and wondered “how in the world is this jam so amazing”? Some people have mastered the art of capturing the bright, fresh flavours of fruit. They’ve become talented at creating mouth watering pairings that you will never find in a home canning cook book or on a supermarket shelf. How do they do it? Let me tell you because I know their secret. I was deeply dissatisfied with the methods instructed in basic home canning books. The process of boiling the heck out of all that lovely delicate fruit, dulling its flavour made no sense to me. The use of commercial pectin containing dextrose and citric acid to make them set also made no sense. 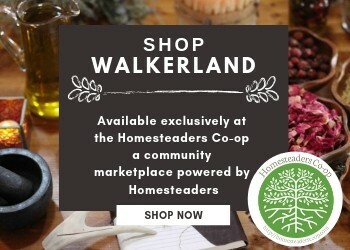 As a gardener and someone who uses a lot of ingredients that grow right on our homestead I had a strong desire to capture the flavours and essence of each season in every single jar I prepared. I just needed to figure out how to do it! 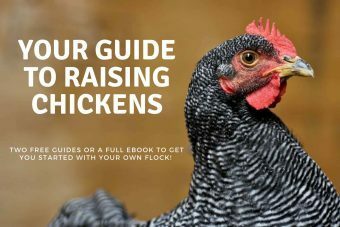 I set off on a quest to find unique recipes and new techniques that would honour the fresh lovely produce from our farm. It took a while but eventually I found the answer. If you are looking for create special, stand out jams and jellies for your friends and family or perhaps to sell at your market stall, you’ll be surprised at how just a few simple changes will elevate your products and creativity to a new level. I am going to share the key ingredients for success, explain the techniques, share the book that revolutionized my own jam and jelly recipes and provide you with some of our own recipes to get you started. Years ago I discovered a book that changed everything. To this day no book I have read compares to this one. 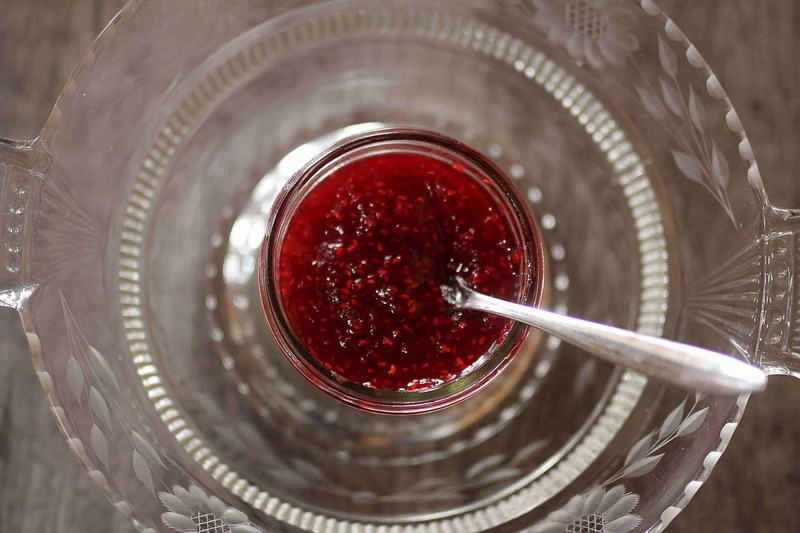 Mes Confitures, the Jams and Jellies of Christine Ferber. You can find Mes Confitures, the Jams and Jellies of Christine Ferber at many books stores and retailers. You can also find it on Amazon in Canada and in the US. Christine Ferber is an internationally known master Patisserie, widely known as the Fairy God mother of Jams and Jellies. Her recipe book shares her precise techniques, tools and ideologies behind the creation of perfection in a jar. 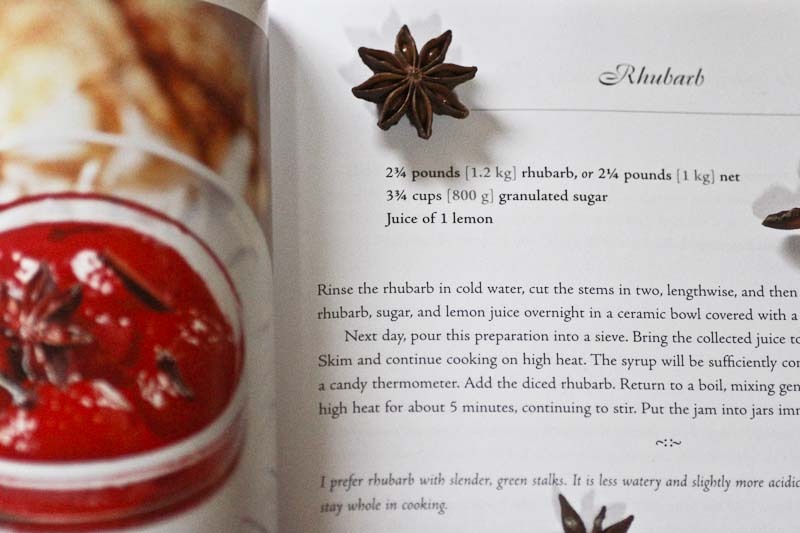 To further delight me, her book and recipes are organized by seasons and written simply and honestly. Its almost like reading a recipe written by an old friend. Her recipes are truly unique and hit all the right notes for me. She knows how to pair ingredients in ways that bring out the best flavours. There is a hint of surprise and decadency in these recipes and yet, they are unpretentious and simple ingredients. Her techniques encourage the most gentle of processing, no more boiling that fruit to oblivion! 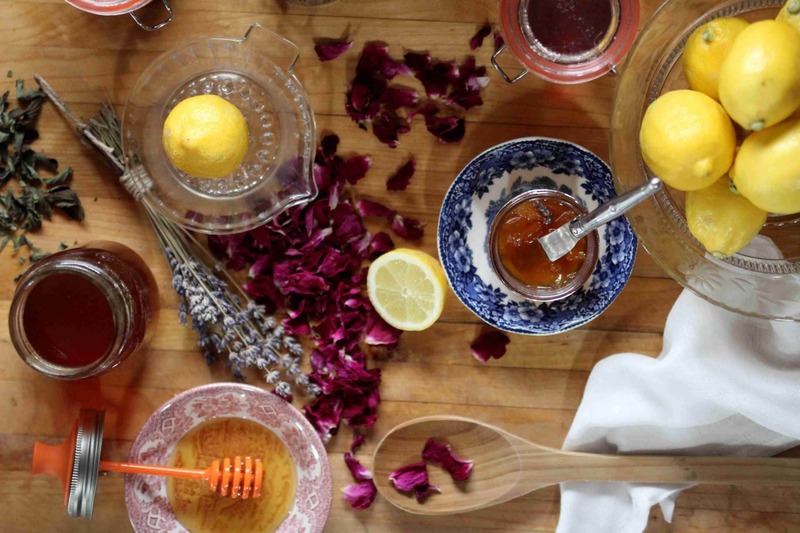 Her recipes used combinations that inspire and spark creativity. Strawberry mint, Black Cherry with Pinot Noir, Apricot with Spiced Apple, Rosehip with Vanilla, Rhubarb with Acacia Honey and even chocolate jams. Preserving jams and jellies are a wonderful way to bottle up summer into a pretty jar to be enjoyed throughout the year. These mouth watering, delectable recipes are no more difficult to achieve than the standard boil and jar recipes. Once you have learned the general techniques you will be quickly able to adapt and start making your own unique blends. Most ingredients are easily accessible. You might have to substitute one type of pear or apple for another; but the end product will still be as wonderful. 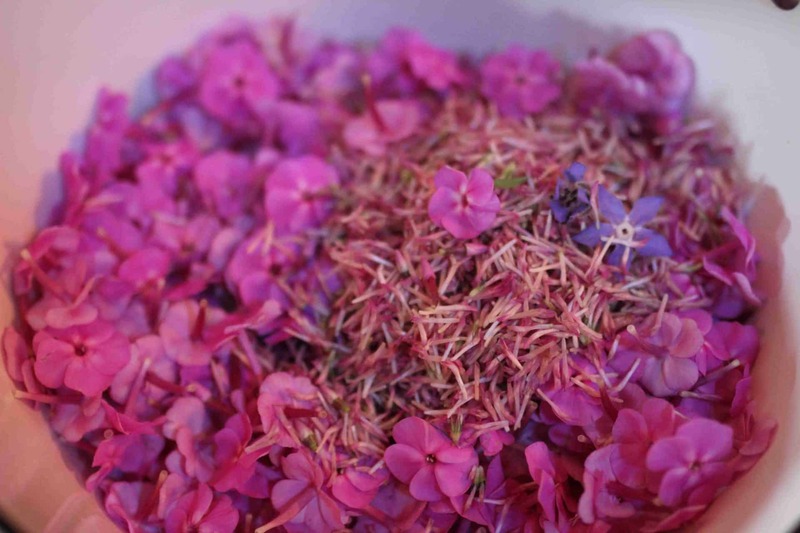 What is Maceration? 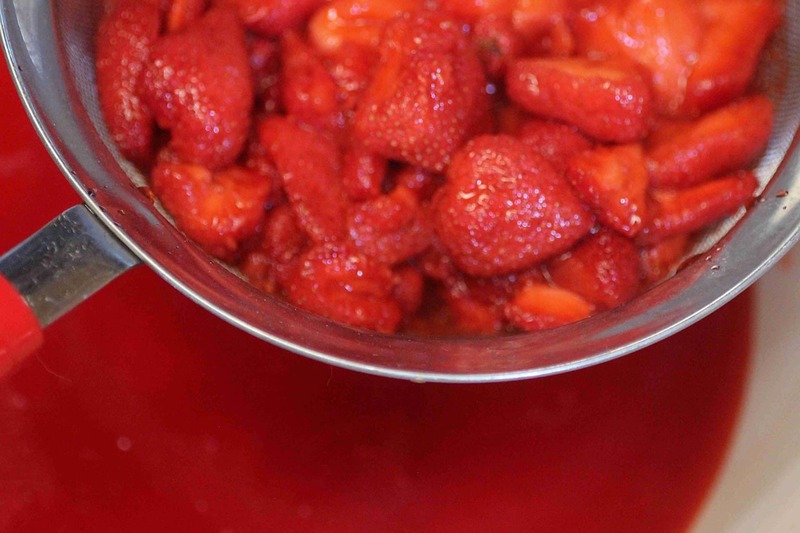 Maceration is a slow and gentle process of drawing out the liquid from the fruit to create a syrup. The fruit is steeped in this flavourful fruit syrup while it rests overnight. How it works: You take your fruit, lemon juice & sugar, put it in a non reactive bowl (I use ceramic), cover it with a cloth and let it macerate over night in a cool pantry. The next day, strain the liquid from the solids and boil only the liquid. This ensures that the fruit itself has not been boiled to oblivion losing its nutritional value, freshness & brightness. 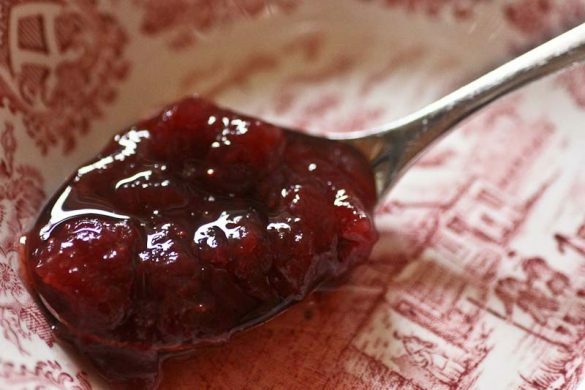 Some fruits have very little natural pectin in them and for those you need to add some or the jams wont set. 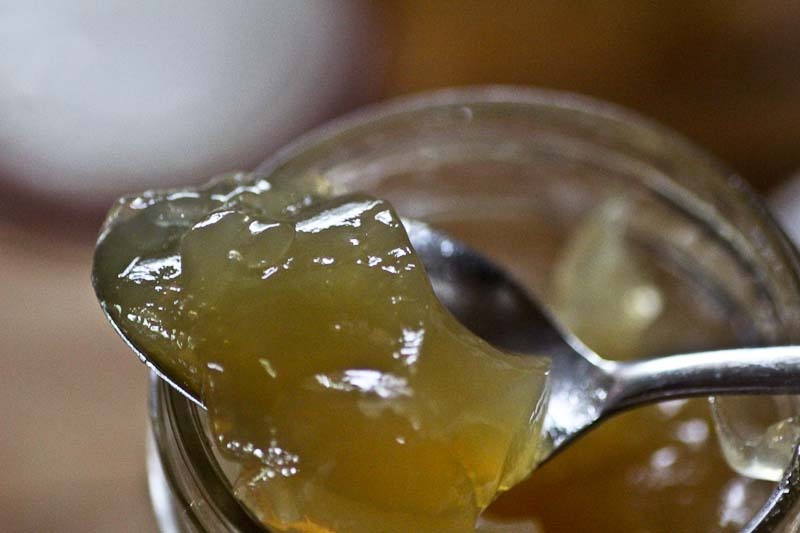 You can easily make a natural pectin using tart unripe apples. Alternatively you can make a very tasty green apple jelly and use that as your pectin substitute. Sometimes I make jellies using ingredients that contain no pectin, such as flowers or or a diabetic relative is requesting something special. This pectin make this possible. This is a pure citrus pectin with no dextrose or preservatives. 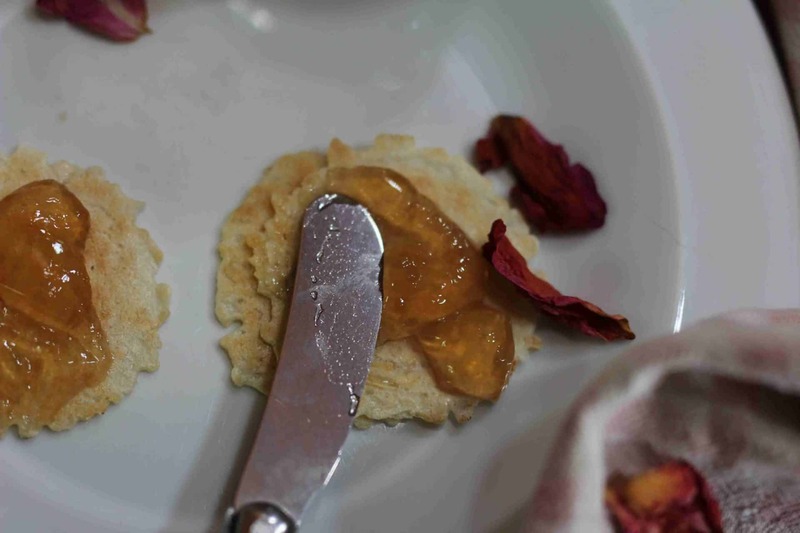 Regular pectin requires 55-85% sugar to set firmly, this pectin uses calcium water to activate the gelling in your preserves so you can reduce the sugar quite a bit. It can be a bit hard to find in stores but you can get it on Amazon in Canada and the US! Quick note about Jar Sealing I seal my jars differently than instructed in the book. Christine uses jars with screw top lids and here in Canada we have the two piece lids. She inverts her jars (while hot) to seal, and I do a water bath sealing process. We are using different jars so I follow the manufacturer instructions. 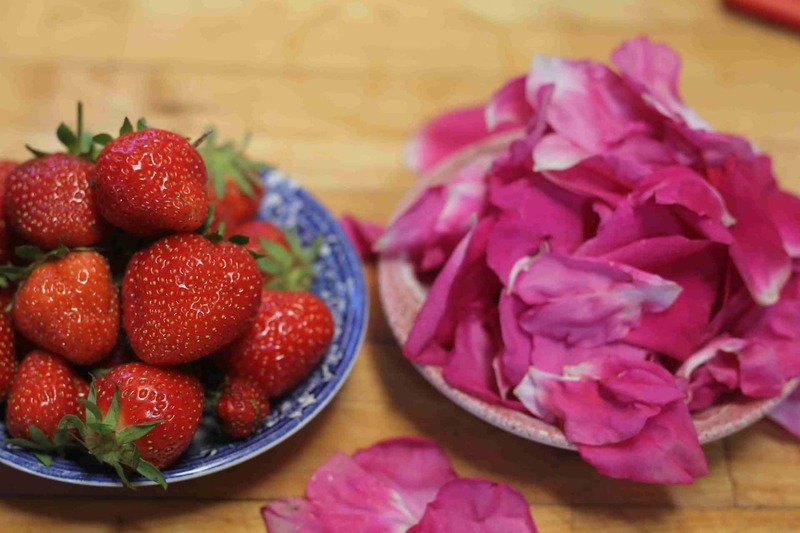 If you want to read more about Christine Ferber here is a fantastic English written article; From Alsace, Sweet Love for the World from the New York Times. 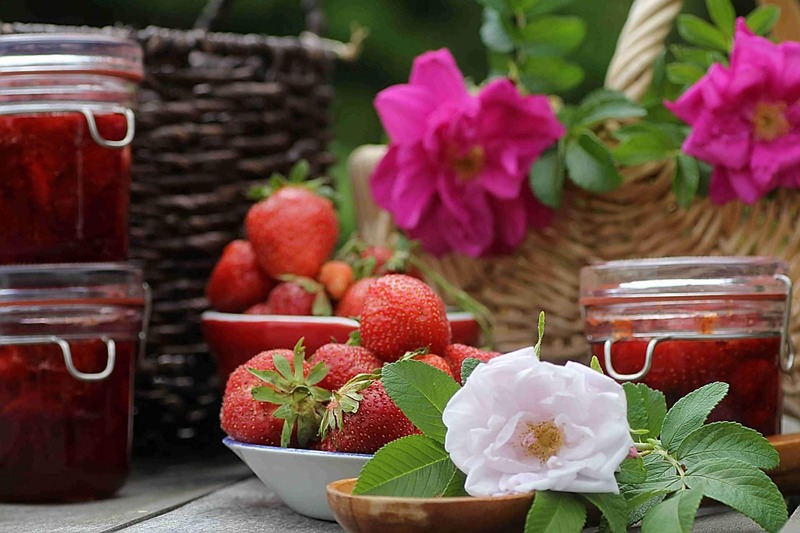 Here are some recipes to get you started on your Artisan jam and jelly journey. If you find this information helpful or inspiring please share it! 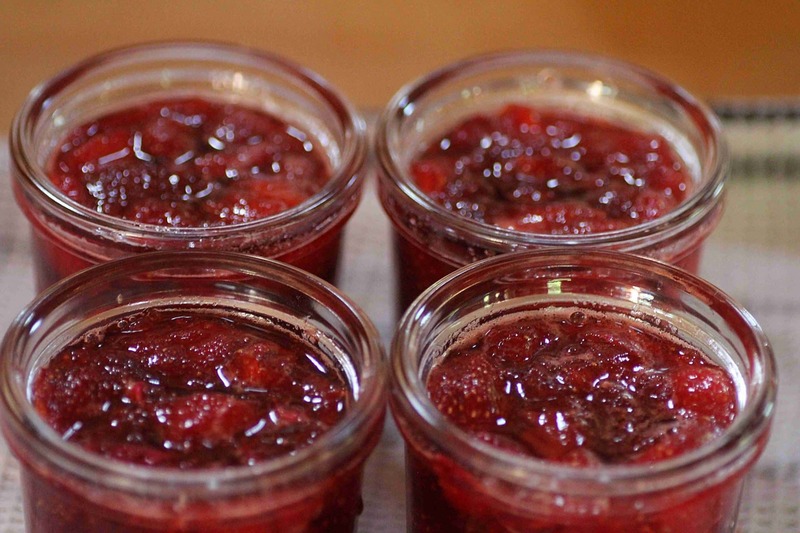 I would love to see a revolution in the way jams and jellies are created in the home kitchen! I’m looking forward to reading more about your jams and preserves! I too dislike the super-sugary jellies that try to pass themselves off as jams and preserves. I want mine to taste like summer time, natural sweetness, and a little bit tart. We are on the same page Katie. When I think of all the hard work that I put into growing the food that my family eats, it seems only right that the preserving methods used should focus on retaining the highest quality, freshness and flavor of those ingredients! Exactly! This is exactly why I like to make and grow/raise my food myself – because I can make it the highest quality possible. Why skimp on quality?